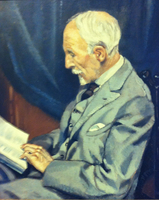 HONEYMAN, DAVID, Presbyterian minister, geologist, teacher, and curator; b. in 1817 in Fifeshire, Scotland; m. Mary Donaldson of Dundee, Scotland, and they had three daughters; d. 17 Oct. 1889 in Halifax, N. S.
David Honeyman was educated in Scotland at Dundee High School and at the University of St Andrews where he combined a specialization in Oriental languages with the study of natural science. He was expert enough in the latter discipline to act as a collector of specimens for the Watt Institution in Greenock. In 1836, however, Honeyman relegated science to the background and entered the theological hall of the United Secession Church. After studies in Glasgow and Edinburgh, he was licensed to preach in 1841. Following the disruption in the Church of Scotland in 1843, Honeyman joined the Free Church and under the auspices of its colonial committee accepted a position as professor of Hebrew at the Free Church College in Halifax, N.S. He arrived in September 1848. Honeyman taught at the college until 1850 when he left the Free Church, abandoned his tentative plans to move to the United States, and joined the Presbyterian Church of Nova Scotia, a body more voluntaryist and disestablishmentarian than the Free Church. In the first half of 1851 he did missionary work at Canso and on 19 August was ordained before taking charge of the congregations of Gays River, Shubenacadie, and Lower Stewiacke. In June 1852 he became a member of his church’s Board of Home Missions and in September 1853 accepted a charge from the Presbyterian congregation at Antigonish, where he lived for the next 15 years. The interest in science which Honeyman had shown as a student had not disappeared, however, and the publication of John William Dawson*’s Acadian geology . . . (Edinburgh and Pictou, N.S., 1855) inspired in him a determination to investigate the little-known rock structures around him. So involved did he become in geological studies that in 1858 he left the active ministry. He continued, however, to preach and assist in church work until his death and he remained serenely untroubled by the scientific/religious paradoxes that wrought havoc with the theological convictions of so many of his contemporaries. Honeyman’s resignation as minister was followed the next year by his first publication, in the Transactions of the Nova Scotia Literary and Scientific Society, which dealt with the fossiliferous rocks of Arisaig (Antigonish County). The article, the first of many, established his reputation as a serious contributor to the virtually pristine field of the geology of Nova Scotia. His timing was opportune because of the growing realization of the potential mineral wealth of the colony. He was, therefore, well placed to lobby for and then in August 1861 to accept a commission to prepare and take to England an exhibit of Nova Scotia minerals for the London International Exhibition of 1862. He was to represent Nova Scotia again as commissioner at the Dublin International Exhibition (1865), as executive commissioner at the universal exposition in Paris (1867), and at the Philadelphia Centennial International Exhibition (1876). In 1882 he represented Canada at the International Fisheries Exhibition in London. 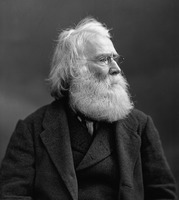 Honeyman’s major goal was systematically to investigate and record the province’s geology by means of a government-sponsored survey such as had existed in the Province of Canada since 1842. Pressure had been applied to the Nova Scotia government to establish a similar survey as early as 1861, and the hurried efforts to collect exhibits for the 1862 and 1865 international exhibitions increased the realization of the inadequacy in the province’s knowledge of the importance of its mineral resources. 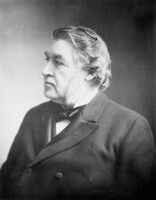 Honeyman clearly saw himself as director of the survey and was bitterly disappointed when action promised by Charles Tupper*’s administration came to naught in 1864. Perennial financial restrictions and the strong possibility that such a survey would be integrated into the Geological Survey of Canada with the achievement of confederation probably prevented the creation of an independent enterprise. Honeyman in the mean time was consoled with a commission in 1864–65 to prepare a brief overview of Nova Scotia geology. In this project he worked closely with Henry How*, professor of natural history and chemistry at King’s College, Windsor, N. S., which in 1864 awarded Honeyman an honorary dcl. In 1868 he also worked briefly for the Geological Survey of Canada under Sir William Edmond Logan*. Honeyman had more success in establishing the Provincial Museum in Halifax (now the Nova Scotia Museum). Aided particularly by John Robert Willis* and Andrew MacKinlay*, Honeyman persuaded the provincial government to provide room to house the collections so painfully gathered for the international exhibitions, as well as those of the defunct Halifax Mechanics’ Institute. The museum opened in 1868 with Honeyman as curator. Its early years were difficult, however, because the museum did not receive legislative sanction or appropriations until 1872. During Honeyman’s tenure as curator, from 1868 to 1889, the museum’s annual budget (which included his salary) rarely exceeded $1,300. Hampered by lack of funds and space, he was nevertheless able to expand the collections significantly, particularly in geology, and through his prolific writings to add to his own reputation and to that of the museum. His published articles on Nova Scotia geology number approximately 58. Honeyman’s meticulous geological collections won him medals at the international exhibitions of the 1860s and 1870s and his encounters with leading scholars led to his election in 1862 to such scientific organizations as the Société géologique de France, and the Society of Arts and Letters, the Horticultural Society, and the Geologists’ Association of London. He also became a fellow of the Geological Society of London and an original member of the Geological Society of America; in addition he received the Mantuan Medal for scientific merit and in 1882 was one of the original fellows of the Royal Society of Canada. His writings appeared in respected international journals, but his preferred vehicle was the Proceedings and Transactions of the Nova Scotian Institute of Natural Science, of which he became a member in 1866 and in whose establishment in 1862 he had probably assisted. He enhanced the institute’s reputation by joining its council in 1870, becoming its secretary in 1871, and by accepting the editorship of its Proceedings in 1887; he held all these positions until his death. In his later years Honeyman demonstrated a growing interest in marine biology. He was active as well in the field of education, endeavouring unsuccessfully in the constrained financial climate of the 1870s to establish schools of mines, of science, and of technology. He did help establish the first science faculty at Dalhousie University in 1878 and without salary taught geology there, as well as giving courses at the museum. Like so many of his 19th-century contemporaries, David Honeyman was an amateur who elevated himself to the position of scholarly expert and in the process helped to lay the foundations of a new science. He did much to popularize the field of geology in Nova Scotia, both through his publications and through the provincial museum. Perhaps equally important in an age of religious conformity, throughout his career he was able to combine unimpeachable religious and clerical credentials with a scientific attitude which made him an appropriate publicist for a nascent science still subject to suspicions of heresy by the religious majority. David Honeyman was the author of Giants and pigmies, geological ([Halifax, 1887]). A complete bibliography of his works may be found in Bibliography of the geology of Nova Scotia, comp. D. J. Gregory (Halifax, 1975). Dalhousie Univ. Arch., ms 1–1, A, 1–4. PANS, MG 9, no.213, “Exhibition memoranda of the Rev. David Honeyman, D.C.L., F.G.S.”; RG 5, P, 50, 1872; RG 7, 50, 23 Feb., 19 April, 29 Nov. 1864; RG 14, 70, 1885. Dalhousie Univ., Calendar and examination papers . . . (Halifax), 1878. Free Church of N.S., The missionary record (Halifax), 1851–52. Edwin Gilpin, “The geological writings of Rev. D. Honeyman, D.C.L.,” Nova Scotian Institute of Natural Science, Proc. and Trans. (Halifax), 7 (1886–90): 357–62. J. G. MacGregor, “Opening address,” Nova Scotian Institute of Natural Science, Proc. and Trans., 7 (1886–90): 320–32. N.S., House of Assembly, Journal and proc., 1861–90; Legislative Council, Journal of proc., 1865, 1872. Presbyterian Church of Nova Scotia, Missionary register (Pictou, N.S. ), 1850–53. Acadian Recorder, 1869, 1889. Dalhousie Gazette (Halifax), 7 Nov. 1889. Eastern Chronicle (New Glasgow, N.S. ), 1903. Morning Chronicle (Halifax), 1876, 1889, 1903. Morning Herald (Halifax), 1889. Novascotian, 1865. Presbyterian Witness (Halifax), 1848, 1853, 1889. Dominion annual register, 1882. Zaslow, Reading the rocks. F. W. Gray, “Pioneer geologists of Nova Scotia, the men and their times,” N.S. Hist. Soc., Coll., 26 (1945): 153–72. Harry Piers, “A brief historical account of the Nova Scotian Institute of Science, and the events leading up to its formation; with biographical sketches of its deceased presidents and other prominent members,” Nova Scotian Institute of Science, Proc. and Trans., 13 (1910–14): liii–civ. “Three directors in ninety-eight years,” Nova Scotia Museum Newsletter (Halifax), 4 (1964–65): 48–49. William D. Naftel, “HONEYMAN, DAVID,” in Dictionary of Canadian Biography, vol. 11, University of Toronto/Université Laval, 2003–, accessed April 20, 2019, http://www.biographi.ca/en/bio/honeyman_david_11E.html.